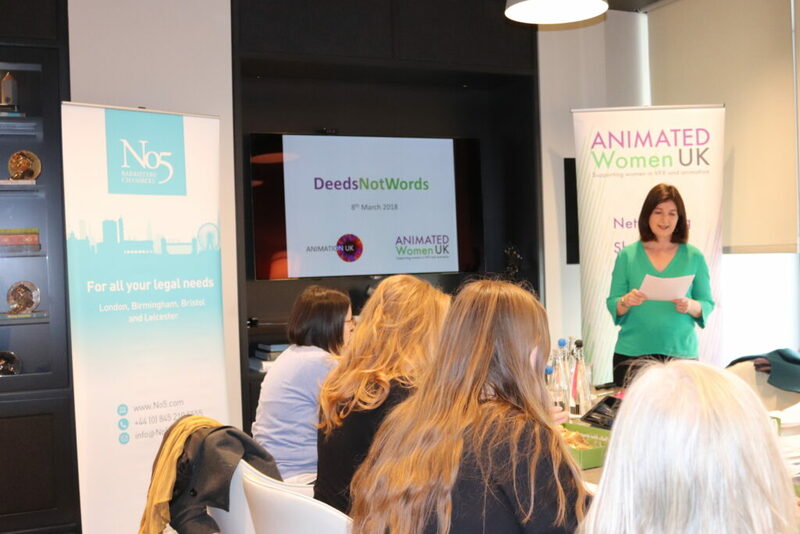 In support of the ‘MeToo’ and ‘TimesUp’ movement, AWUK launched their new ‘Deeds Not Words’ programme on International Women’s Day, with an event dealing with harassment and bullying in the workplace and introducing the new BFI/ BAFTA guidelines. 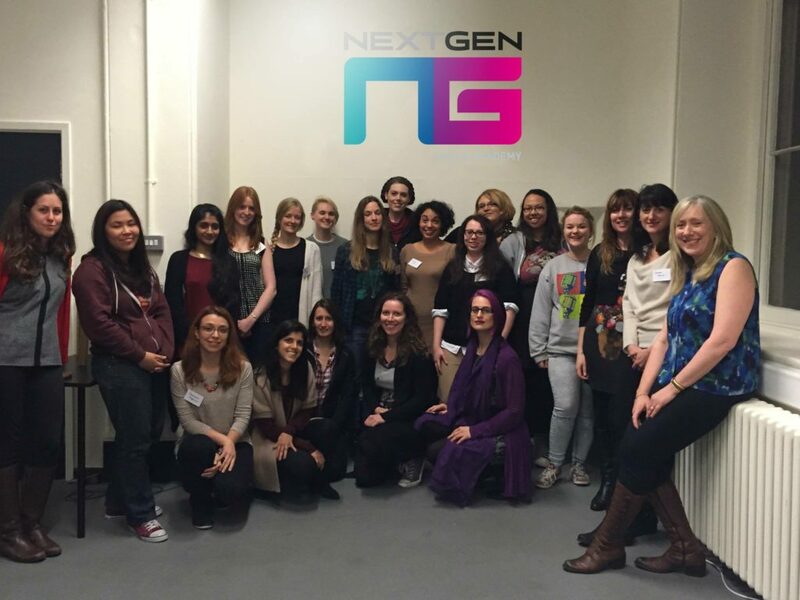 The workshop was co-produced by Animated Women UK (AWUK) and Animation UK (AUK) and generously hosted by The Mill. 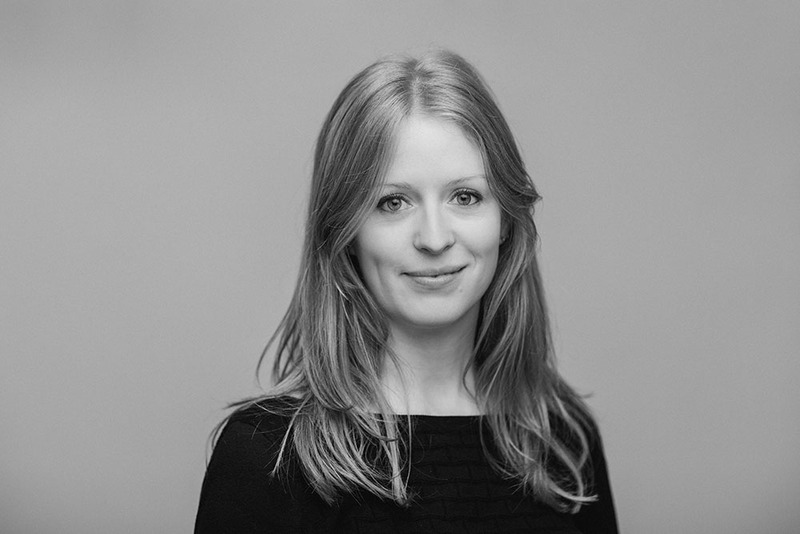 The audience of individuals, HR representatives and company owners were joined by Tim Hunter, Director of learning and new talent at BAFTA and employment barristers Caroline Jennings and Naomi Owen from No 5 Barristers Chambers. 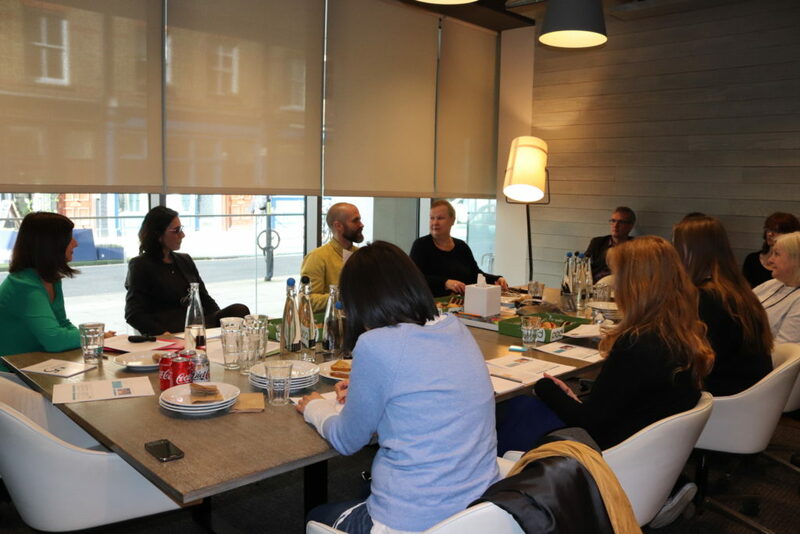 After an introduction from Jan Armstrong who facilitated the afternoon, Tim Hunter provided an overview of the new BFI/BAFTA guidelines on harassment and bullying, released on the day of the BAFTA awards. The BAFTA Awards are a lens on the industry there was much debate at the time as to whether the guidelines go far enough, but Tim clarified that after wide consultation the specific issues tackled in the guidelines were identified as most important. The timing was also significant to show BAFTA’s position at the time of the awards and gain maximum coverage. He acknowledged that there many areas not covered, for example the freelance perpetrator who could easily ‘slip under the radar’ going from one production to another. 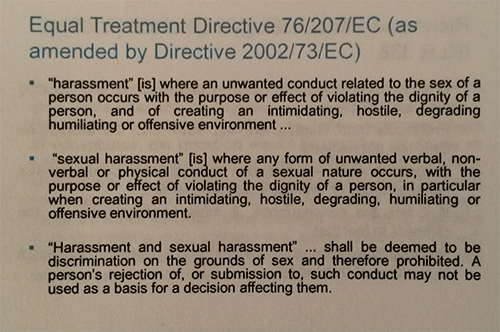 However, these guidelines provide an industry framework and accountability to build upon. There has been a code of conduct for the VFX industry for about 4 years so it’s good to see the BFI and BAFTA following suit. 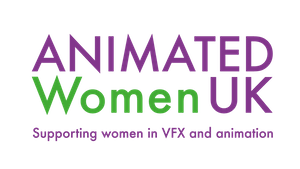 Currently there is not an official animation industry wide code, but many companies have their own. 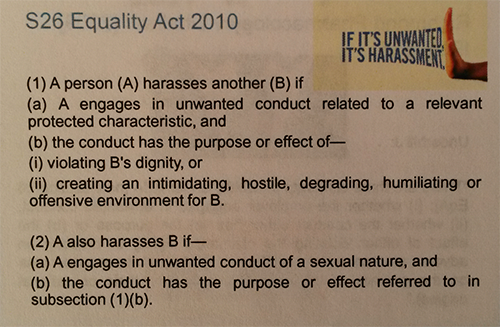 A show of hands from the attendees demonstrated that a significant majority had suffered some form of harassment or bullying in the workplace including our barristers. Unfortunately, this is in line with our own MeToo survey results. If you haven’t yet shared your experience, please fill in our quick anonymous survey here. Barristers Caroline and Naomi presented the legal definitions of harassment as well as a couple of cases that have made it to court. They illustrated the minefield of ambiguity between wanted and unwanted behavior, flirting or pestering, bullying or just meeting that deadline. 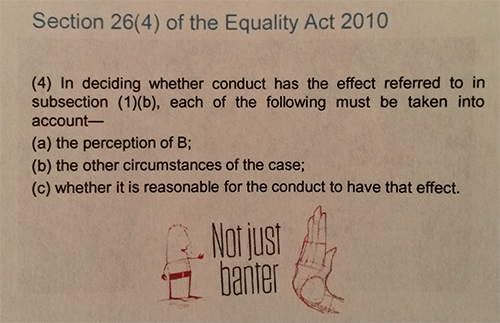 This is enshrined in UK law in the Equality Act 2010. Our barristers explained how the law is applied and the complex topic of accountability or individuals and employers/third parties. Finally Naomi concluded by mentioning the concept of collective responsibility. Both employers and employees in the workplace should endeavour to create an environment in which people are more aware of what constitutes inappropriate behaviour and what to do if it happens. We need to dispel the “If I report it I will never work again!” perception. If there is enough interest from our members we will organise another event covering this issue. If you’d like to attend an event like this please let us know in the comments section.